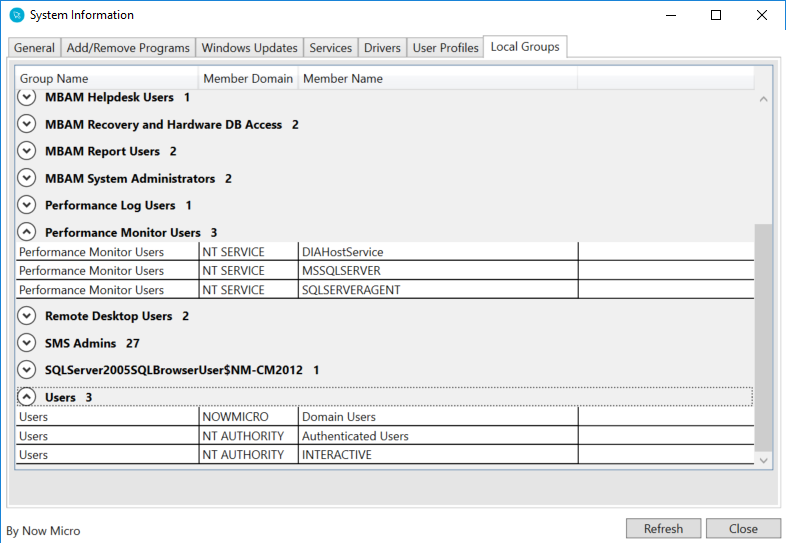 The System Information Tool now has a Local Group Members tab showing the users in each local group. Right clicking on a group will show a “Remove From Group” tool that will remove the selected user(s) from the selected group(s). There’s also a new Local Group Members tool for collections that will show all local group members grouped by group name then by user name. This feature was available in the 2.4 release but was removed in the 2.5 release in favor of the Interactive PowerShell Prompt feature. With the new release both the Interactive Command Prompt and Interactive PowerShell Prompt features will be available. This action stops the SMS Agent Host on the remote machines and kills any scnotification.exe processes. This is for scenarios where a ConfigMgr application, program, or task sequence is accidentally deployed to machines with the wrong deadline and the administrator wants to make sure the devices will not run the deployment in the middle of the day. This action can be undone by using the Restart SMS Agent Host action. The Delete Devices tool was made as a shortcut to prepping devices for OSD. 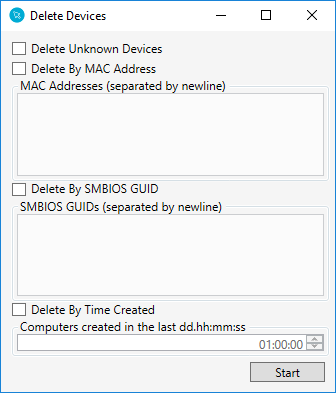 It allows you to quickly delete unknown devices, devices that were created recently, or search for devices by MAC address and SMBIOS GUID. Wildcards are accepted in the MAC Address and SMBIOS GUID fields. The Show Collections tool now has an option to remove the device from the collection results. Additionally, the collection folder path has been added to the view by default rather than being a right click option, and a refresh button has been added. 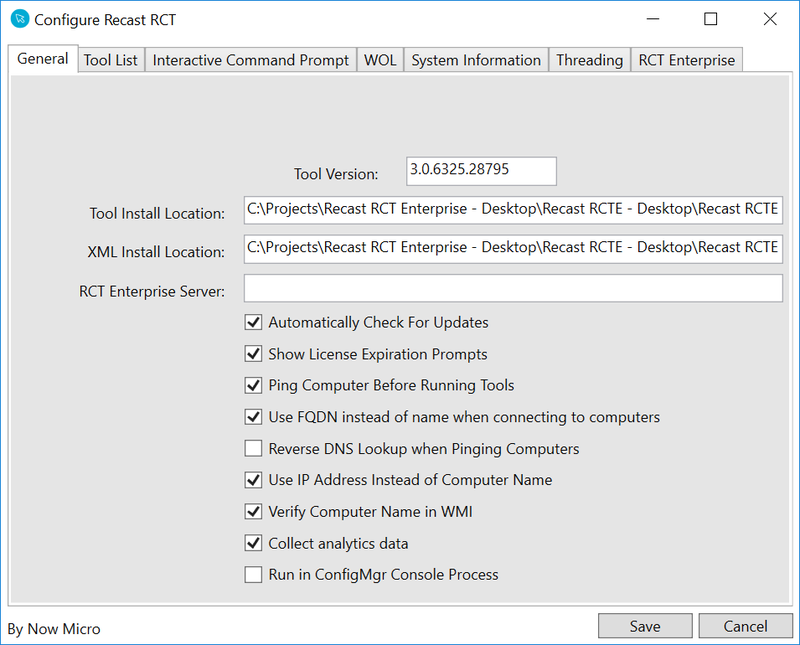 Note that while the tool will auto-refresh when the Remove from Collection action is chosen, the change may not be reflected immediately on the ConfigMgr server. 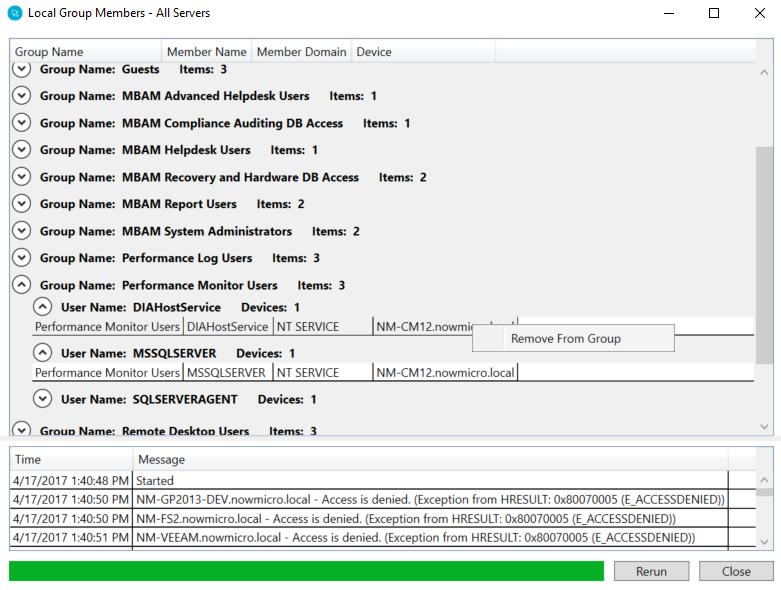 With the 3.0 release, we’re adding the option to use the IP Address stored in the ConfigMgr database to run actions against devices rather than using the computer’s name. This will be useful for environments that are not able to use dynamic DNS updates. Since the ConfigMgr database may have out of date inventory information, we’ve also added the option to verify the computer name via WMI before running actions. This will check to make sure that the device name in Win32_ComputerSystem matches the device name in the ConfigMgr console. If there is a mismatch, the tool will throw an error instead of trying to run. Additionally, we have the option of running tools inside of the ConfigMgr console process. This means that all of your tools will look like ConfigMgr console windows instead of separate Recast windows. This option will improve launch times, but since your tools are now running inside of the ConfigMgr console, any bugs in the tools may cause your ConfigMgr console to crash. 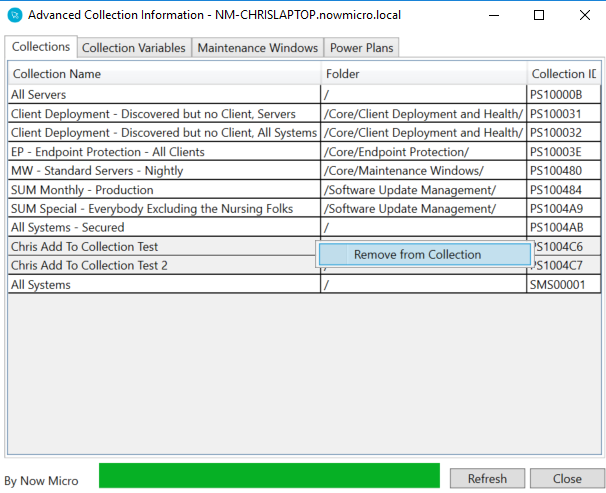 The tools will also share the memory space of the ConfigMgr console, so if you are running many actions on very large collections, the ConfigMgr console process may run out of memory. We will post when the latest features are available!